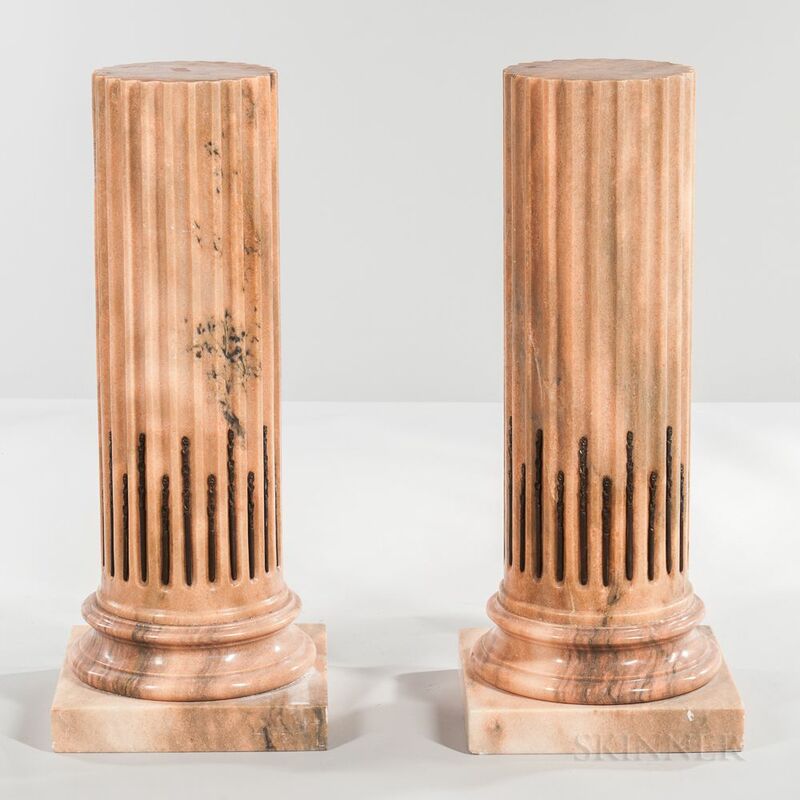 Pair of Neoclassical-style Fluted Columnar Marble Pedestals, modern, peach-colored stone with gray veining, lower parts of the flutes with floral metal mounts, set on square bases, ht. 39, top dia. 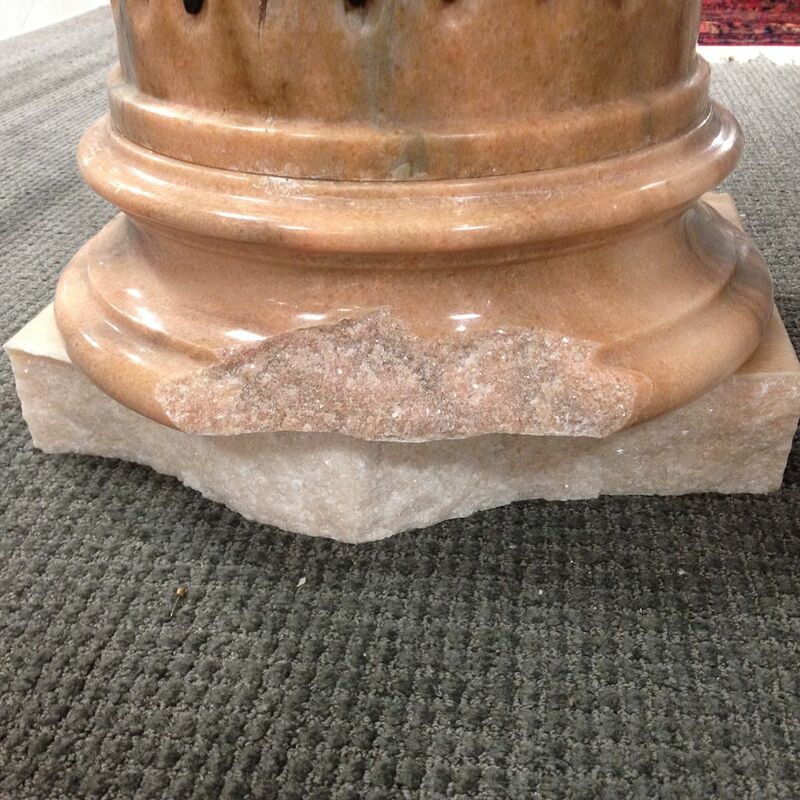 11, base 16 1/4 x 16 1/4 in. 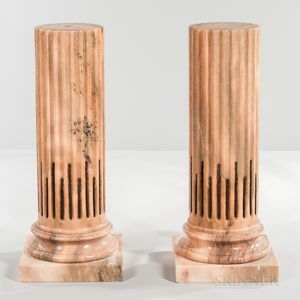 Damage to base of one column. Break of five pieces all present.